From the creators of The Gruffalo and The Gruffalo’s Child, the hugely popular children’s story Superworm will come to Kielder Water & Forest Park in 2015. 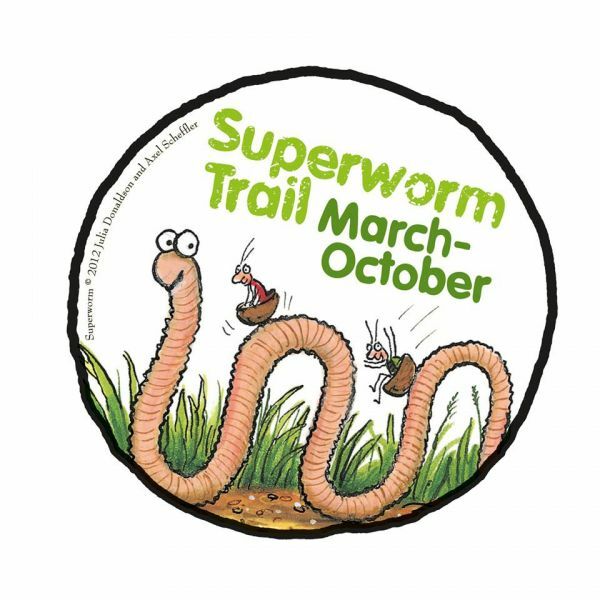 From 13 March until the end of October, families can enjoy Superworm activity trails throughout at around 20 selected sites across the country, including Kielder Water & Forest Park. Each activity trail will include up to 10 stops and take around one hour to complete (distances will vary between 800 and 1,500 metres). At each stop, visitors will discover a panel containing activities and questions inspiring them to use the Superworm story and its characters to think about the woods and forests around them. The trail has been designed by Forestry Commission England’s learning team to have activities suitable for children aged 3-6, as well as elements that will appeal to 6-8 year olds. The activities will encourage children to use their ‘superhero’ senses and powers of discovery and creativity; from discovering the touch and smell of the forest to becoming nature detectives. Additional activities created by the Youth Sport Trust will also excite young adventurers to become super-fit like Superworm. Special packs with additional things to do, including a sticker sheet, activity leaflet, string to make your own Superworm and a limited edition Superworm mini-book, will also be available to purchase onsite. The continuing partnership between Forestry Commission England and Julia Donaldson and Axel Scheffler’s bestselling children’s books builds on the success of The Gruffalo and The Gruffalo’s Child activities. Over one million visitors followed Forestry Commission England’s Gruffalo trails in the summer of 2014. Superworm’s author, Julia Donaldson, commented: “There’s nothing better than getting out into the wild as a family. I’m sure these trails will be really enjoyed by those taking part.